Toyota, in cooperation with the Tokyo Institute of Technology and the High Energy Accelerator Research Organization, has developed a prototype battery that can be processed into sheet form. The battery has up to five times the energy storage capacity of existing Li-ion batteries, the Nikkei reported Monday. Since the battery can easily be processed into sheet form, it can store several times the amount of electricity, volume for volume, than the current generation of electric vehicle batteries, according to the developers. This added capacity may extend the maximum driving distance per charge for compact EVs to around 1,000 km [621 miles] from the 200km or so for existing vehicles. 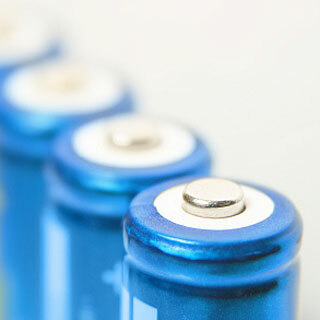 Currently, Li-ion batteries with high energy and power densities used organic liquid electrolytes; these, however, require relatively stringent safety precautions, making large-scale systems more complicated and expensive. The use of solid electrolytes—which would address many of those issues associated with the liquid electrolytes—is currently limited by their conductivities. Toyota and its partners earlier this year published a paper in the journal Nature describing the development of a lithium superionic conductor Li10GeP2S12 that has a new three-dimensional framework structure. The new material exhibits an extremely high lithium ionic conductivity at room temperature, the highest conductivity achieved in a solid electrolyte, exceeding even those of liquid organic electrolytes. The new solid-state battery electrolyte has many advantages in terms of device fabrication, stability, safety and excellent electrochemical properties. Toyota plans to improve the battery and commercialize it sometime in 2015 to 2020. Japan’s New Energy and Industrial Technology Development Organization predicted it will be possible to cut the battery production cost to one-fifth to one-tenth the current level by 2020. EV News have reported on Toyota developing everything from a magnesium battery that holds twice the energy of lithium-ion cells to a Solid state lithium cobalt battery. Jeffrey Makarewicz, the engineer managing the U.S. projects, said in an interview at the North American International Auto Show in Detroit the automaker’s U.S. unit, based in Torrance, California, is also looking at aluminum and calcium as potential battery materials. In Japan, company engineers are researching “lithium air and metal air” batteries, he said, without elaborating.